 Global Cloud Encryption Technology Market valued approximately USD 529.5 million in 2016 is anticipated to grow with a healthy growth rate of more than 30.3% over the forecast period 2017-2025. Increasing Adoption of Cloud-based Solutions among Small and Medium Size Enterprises Favors Market at the forefront of driving the global cloud encryption market is the dire need to encrypt data before it is transferred to the cloud for storage. Growing demand for security capabilities offered by cloud encryption solutions is leading to the increased penetration and growth of cloud encryption market globally. Further, the increasing adoption of advanced data storage technology and data storage architecture by small and medium enterprises (SMEs) is leading to the increased penetration of cloud encryption solutions. The trend is noticeable among SMEs in countries such as China, India, and Japan due to the rising adoption of software as a service (SaaS) distribution model. SMEs are increasingly switching from in-house data center to cloud for various applications that helps saves running and managing cost of their data centers. The use of cloud also helps accelerate the application delivery process. Some of the key manufacturers involved in the market are Gemalto N.V, Sophos Group PLC, Symantec Corporation, Sky High Networks, Netskope Inc. Acquisitions and effective mergers are some of the strategies adopted by the key manufacturers. New product launches and continuous technological innovations are the key strategies adopted by the major players.